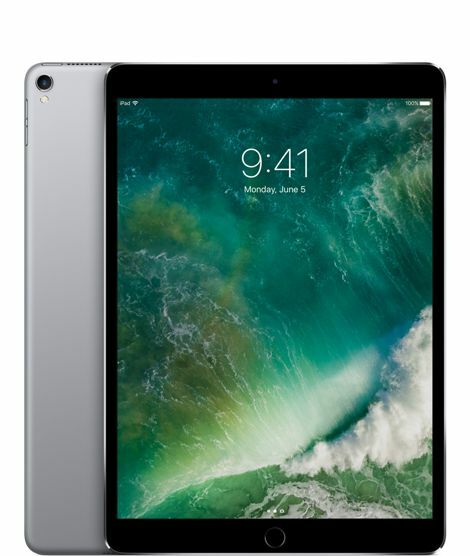 Alike any other product, The Apple iPad Pro 10.5 inch Wifi is again a baton taking us into the uncharted territories of new technology. Innovation is what the company has strived upon right since its inception and innovation is what keeps it going! 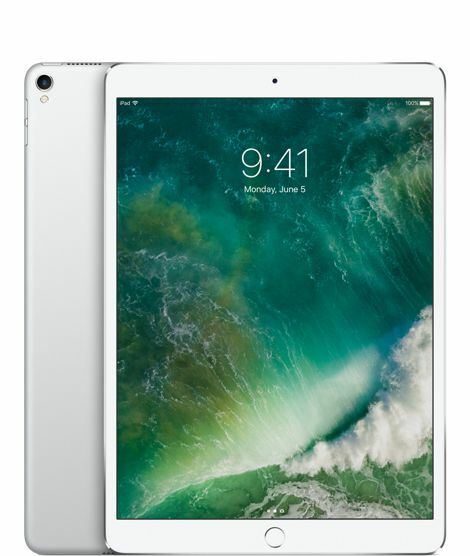 This Apple iPad is equipped with the excellent embedded M10 coprocessor for unparalleled performance. Forget about the tough task of remembering the password. The iPad allows you to set your finger as your device's screen lock. You can also connect it easily to the keyboard without any hassle of the tangled wires. You can insert your sim as well. Scroll down to learn about its other enticing features. . . The device comprises of heavy-weight performance in extremely lightweight body. The 10.5 inch iPad Pro has the brightest resolution and is least reflective in the world. The device offers multi-touch technology, making it all the more delightful experience for you. With the resolution of 2224x1668 Pixels, you will be able to see every detail in spectacular detail. The iPad runs on A10X Fusion chip with 64-bit architecture Embedded M10 Coprocessor which makes it an amazing experience to work on it. It houses the latest iOS 10 which allows you an access to all the features. It is faster than a laptop and a desktop. It will let you complete your tasks within no time. 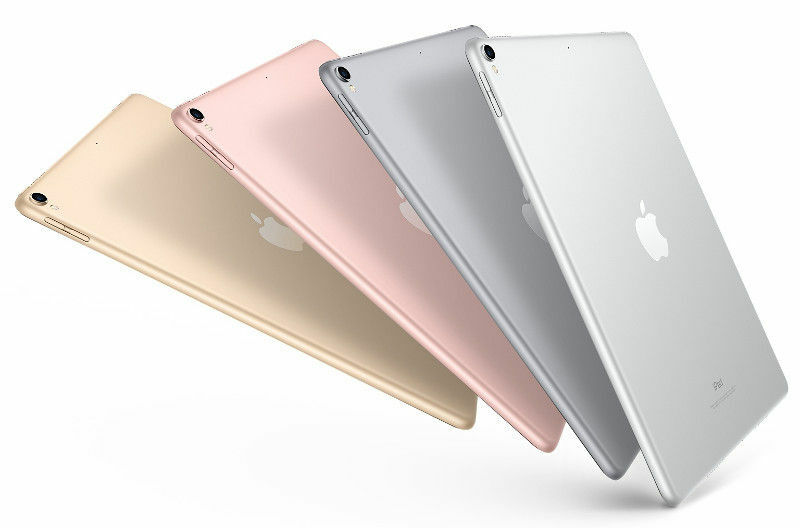 The iPad comes in three variants depending on the storage capacity - 64GB, 256GB and 512GB. You can select the one depending on your necessity. It is equipped with lithium polymer battery which in spite of performing efficiently and multimedia usage, can sustain up to 9 hours. This iPad is all you need for your extraordinary pictures and videos. The device is equipped with 12MP primary camera and 7MP secondary camera. It allows you to take 1080p HD resolution for the video recording. So keep building unlimited memories with crystal clear clarity of your videos and pictures. The entertainment is not something that you are supposed to compromise on when buying this iPad. The device with its massive battery backup, allows you to watch movies and play games for the longer time without gluing yourself to the charging point. It is decked up with four speaker points and adjusts the brightness according to your environment. It can also be connected to the WiFi. your delivery time & packaging is good...performance of the ipad superb...my friend have...he suggest me to buy from you...good one.. The product was well packaged and all the contents are original. Received the order on assured delivery date. iPad Pro 10.5 is crazy fast(120Hz refresh rate, promotion technology) and multitasking is smooth. Camera(as on iPhone 7) is good too. Speakers are loud enough and sound pretty clear. Battery life's also good.